Western Union has contracted Myawaddy Bank as an agent for money transfers. 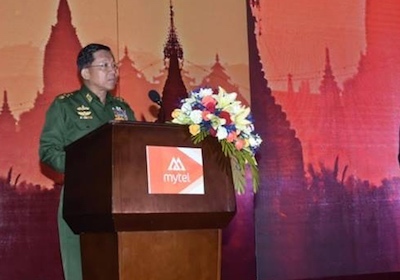 Myawaddy Bank is owned by Union of Myanmar Economic Holdings, which is for the benefit of and controlled by the military. Take Action: Email Western Union here.